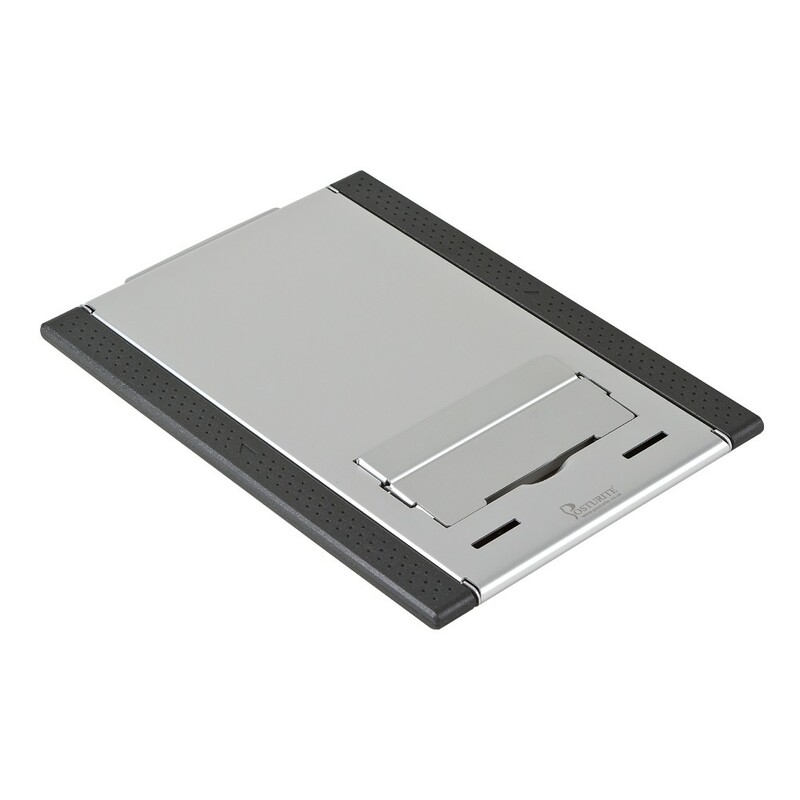 Ultra slim portable laptop stand. 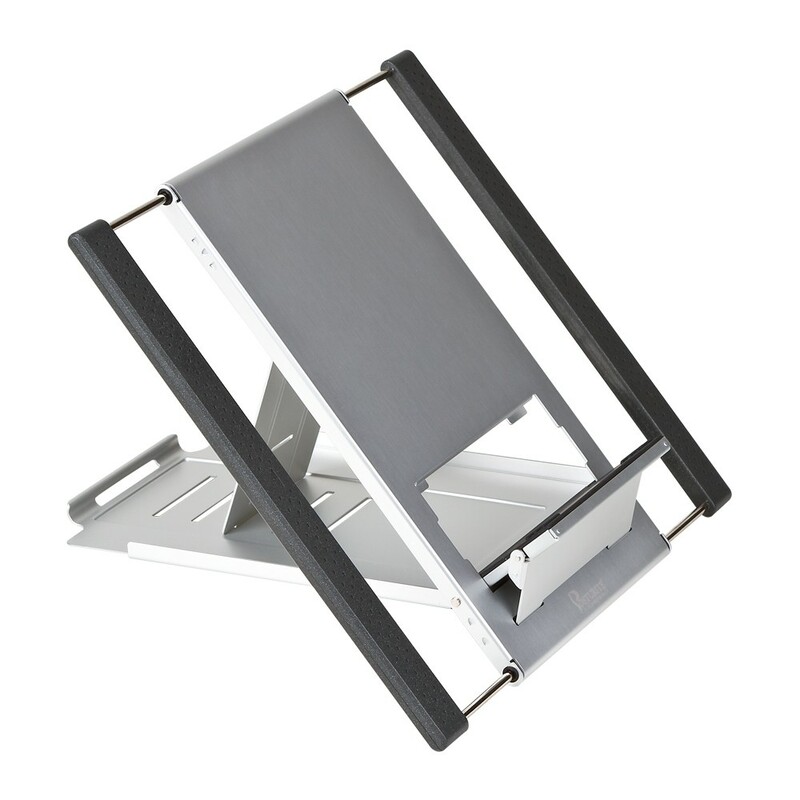 Although only 18.2cm in width when folded, the telescopic side bars can slide out to provide a wide support and also help to keep the laptop cool as they allow for increased airflow. 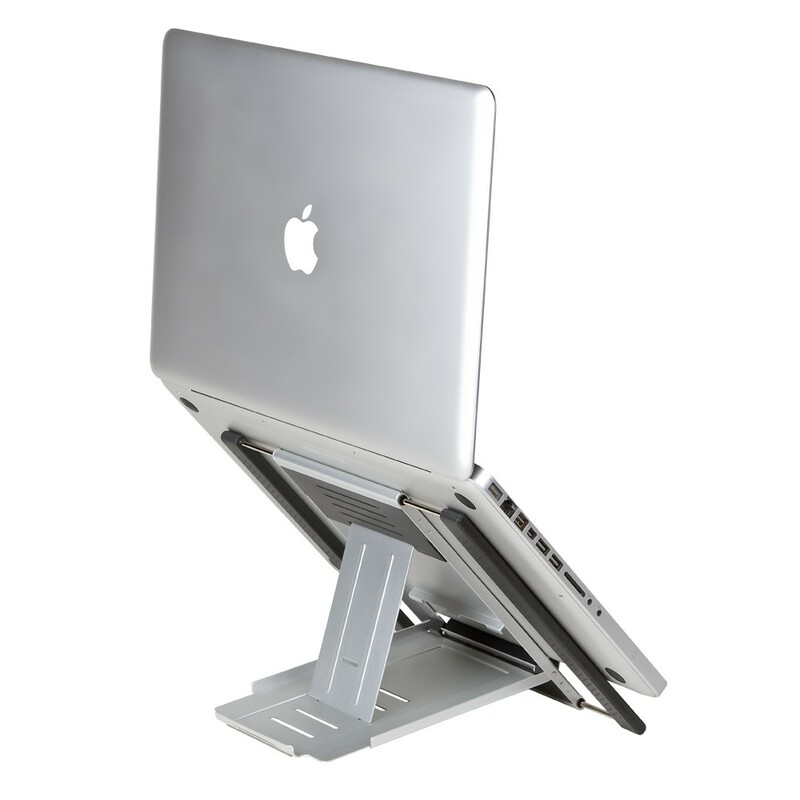 Six angle adjustments for optimal laptop screen height. Slide out bar setup - Easy to setup, the Slimcool provides wide support and maximum air circulation. Mobile lightweight design - Folds flat to 10mm to easily fit in a laptop case and weighs only 550g for easy transport. Aluminium construction - Maximum durability. Includes neoprene carry case.- Tidy storage for transporting. Dimensions: 27.5 (w) x 25.2(l) 1(d) cm. Suitable for all laptop sizes up to 17'.